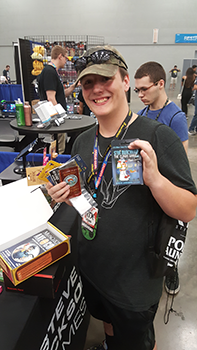 We're having a blast at RTX in Austin, playing games and giving away swag at booth 713! Rooster Teeth always puts on a heck of a show, and 2017 is bigger and better than ever! 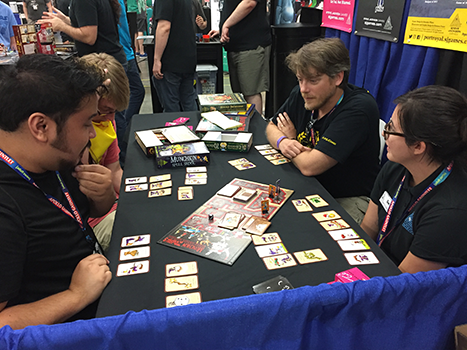 Tons of con-goers have gotten a taste of Port Royal, Batman: The Animated Series Dice Game, Ghosts Love Candy, Munchkin Spell Skool, Simon's Cat Card Game, and a variety of other games (I've personally taught about five different flavors of Munchkin). We're giving away tons of promo cards and bookmarks, including the brand new Bookmark of Cooperative Clobberation for Spell Skool. It's also your first opportunity to get Zombie Dice Horde Edition, which includes Zombie Dice, both expansions, and a sweet dice bag! 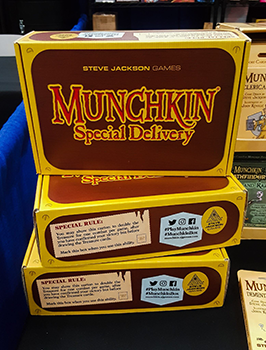 We also had a special surprise - the Munchkin Special Delivery box! If you follow us on Twitter, Facebook, or Instagram, you may have seen these boxes, but if you not, here's the scoop. 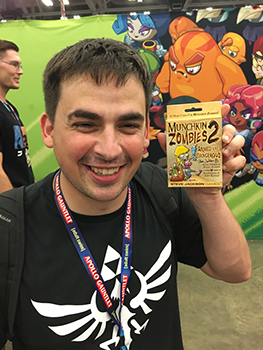 They contain around $80 of Munchkin loot, including a core game, expansions, boosters, and accessories. And the kicker? One of the items will be signed by Steve Jackson! To top it all off, you only pay $45. It's a steal. We only had 12 to sell at RTX, but keep an eye on Warehouse 23 and the social media pages I mentioned above. On Monday, we'll be sharing information on how to get your own Special Delivery! 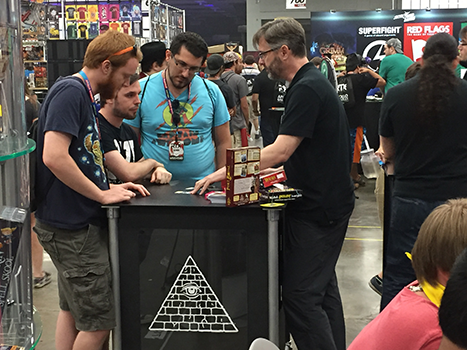 We're still playing games at booth 713 until 6 p.m. today, so swing by RTX and say hi!